Looking to beautify your home with some creative wall storage ideas? You may want to consider adding some floating shelves. 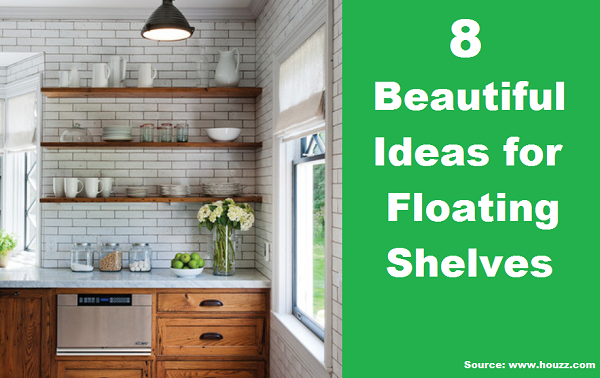 In this article, Laura Gaskill of www.houzz.com shows you how to implement some clean-lined storage using floating shelving you can display on walls, over windows and in nooks and crannies around your home. Click on the link below to discover eight ways to use floating shelves as well as tips on how to hang them.